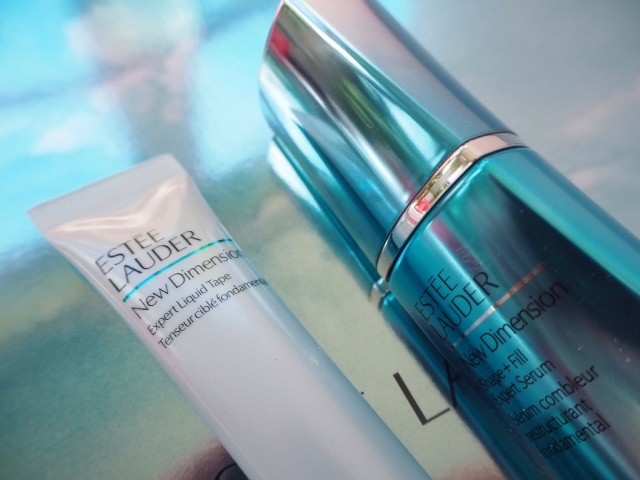 Estee Lauder New Dimension is hailed as a game-changer. I know that word is used far too often. I’d absolutely agree that it is, but probably not in the way that you’d think. If you tune into BBB regularly, you’ll know that 45 minutes of science is not my most fun time in the world, but that’s where I was at this morning as this product was unveiled. Vice President of Skin Biology & Bioactives, Dr. Nadine Pernodet, talked us through the technology of Estee Lauder New Dimension, and all the time she talked, I just kept thinking she has the skin of a goddess! So, very briefly, cutting out the PR, I’ll try and explain the product. 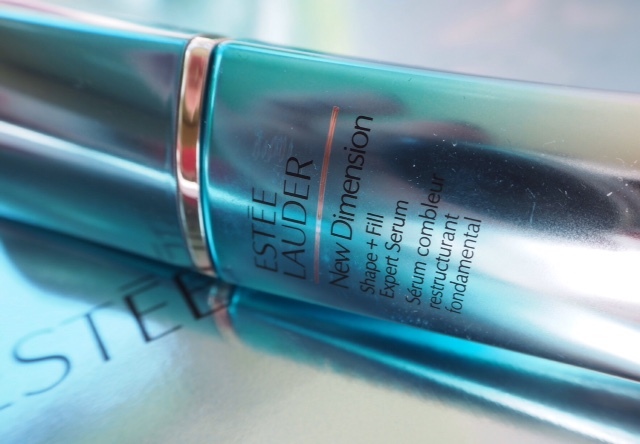 Estee Lauder New Dimension tackles facial shape definition and contours by improving skin structure and providing visible volume – so that your complexion looks plumper while your contours look tauter and better defined. I seem to remember that Clarins had a go at a similar effect with Shaping Facial Lift. But this is not what’s game changing here. What is, is that not once, throughout the entire presentation, was anti-ageing mentioned. I think the word ‘wrinkles’ was said once, and other than that this was presented as an every-woman product, even though as we all know, your skin only needs boosting with hyalurionic and lipids at a certain point. Twenty year olds need not apply, in other words! 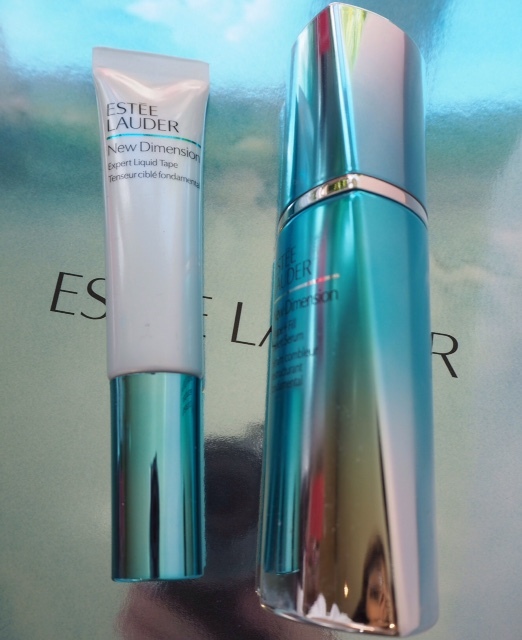 If Estee Lauder has dropped the anti-ageing term for Estee Lauder New Dimension, you can bet your life that other brands will follow. So, the big brand ownership of speaking respectfully to older women by acknowledging that we don’t need to be panicked into youthful looking skin has been well and truly taken by Estee Lauder. New Dimension is tackling skin issues that tend to come with age but at no point was there the usual accusatory tone that every woman’s focus should be on turning back the clock. The face of the product range is Eva Mendes, who is 41, and symbolises the age range that it’s for. Instead, the brand has concentrated on how women on the test panels felt after using the product. As you might expect, they felt happy. Estee Lauder did some neuroscience testing (this is a bridge too far for me – if results are showing and your skin is glowing I am pretty sure you don’t need wires stuck to your head to prove that you’re pleased about it) to really push home the point that the feeling of happiness as far as your skin is concerned comes when you know it’s looking on point and better than it did before you used the product. 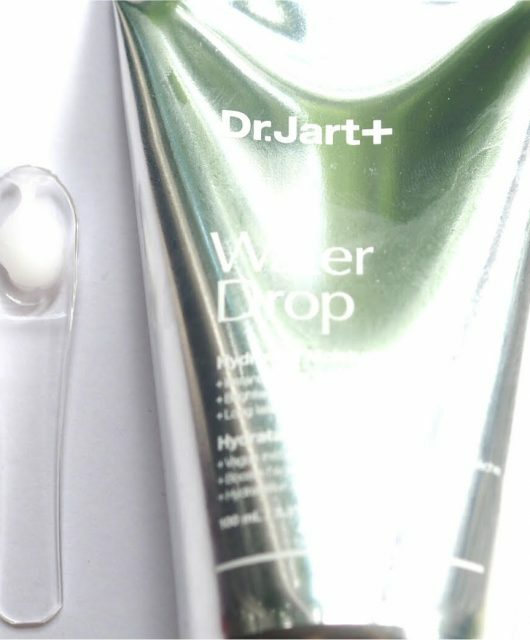 There are two key products that you need to know about – New Dimension Shape + Fill Serum (a whopping £88 for 50ml and £62 for 30ml – I wonder if the neuroscientists got quite the same delighted results from that) and New Dimension Expert Liquid Tape that’s specifically to firm and tone around the eye area (£46). The launch is scheduled for September. I will come back to this with a little more on the science when I’ve used it, but I feel the bigger picture of how the brand is tackling skin care for older women is the more important story here. The # for this range is #NewAngle to represent both the expected results of the products and to signify the new approach. I feel quite uplifted by this – Lauder has got the memo that crow’s feet, ‘deep’ lines and wrinkles, skin sagging, marionette lines, slackening and all the other depressing terms that brands seduce us with a promise to cure, are not needed here. We are going to be the better for this in more ways than one. Every decade there is a “game changer”. In the 1990s AHA, I hated those, the noughties were serums and I couldn’t see the benefit. 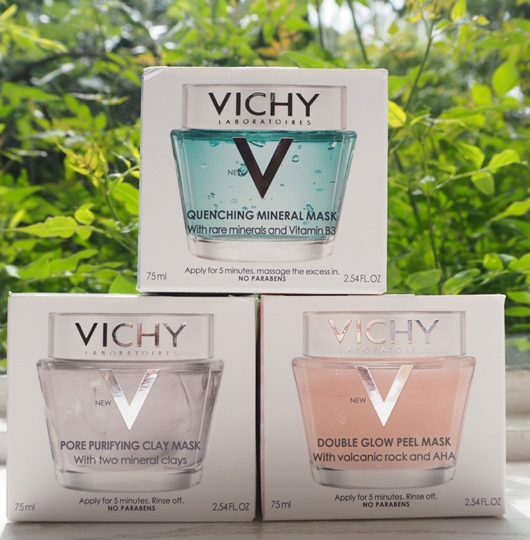 It will take a lot to prise me away from the French pharmacy brands which deliver good products at a reasonable price. My point is that it’s a game changer attitude rather than product. “Game changer attitude” too little too late. When they start swatching on “hairy arms” I might start paying attention. The only way to make your skin plumper is to get a filler injected into your face. The only way to make your skin more taut is to get plastic surgery. Everything else is BS marketing. You can make your skin look more radiant and diminish brown spots, blackheads and scars via alpha hydroxy acids, retinol and Vitamin C serums and creams. 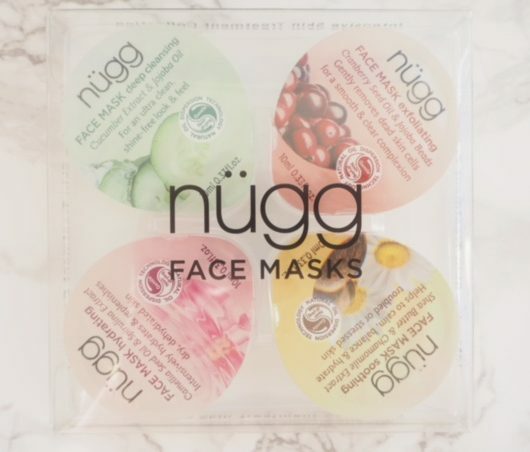 I agree with you that the marketing language should move away from “anti-ageing” (as if being against ageing will stop ageing from happening!). But there are too many women who so desperately want to look like they’re 20 again, so there will always be companies who exploit that desire. This thing scare me LOL…I don’t know why! New Dimension range looks amazing !! 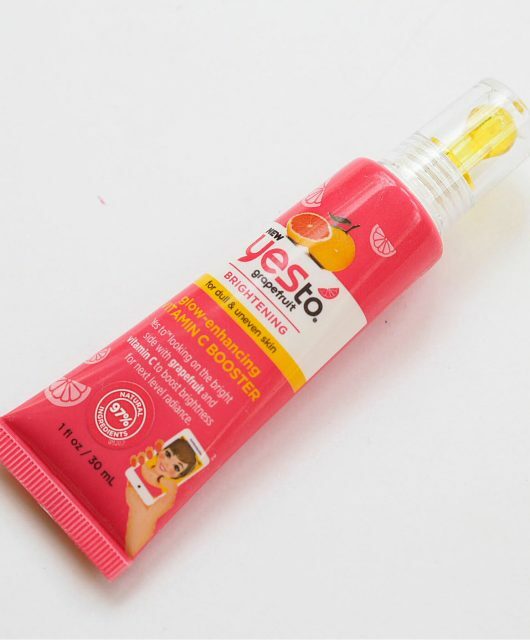 Can you send me pictures of their ingredient list please to check if they’re safe for my sensitive skin ? Quite an interesting and refreshing approach. Now do the products really deliver, that is another question. Did you forget my demand or you did not you read my reply at all ? I just completely forgot for which I apologise, but actually think it’s a little rude to suggest that I didn’t bother to read your reply. I don’t always have the time available to answer things personally. Sorry Jane, I would not hurt you at all !!! Maybe, i ‘ve just choose the wrong words ! I hope you ‘ll have enough time to think about my demand….